According to information published by the United States Environmental Protection Agency, American people generated about 254 million tons of trash and recycled around 87 million tons of material in 2013. 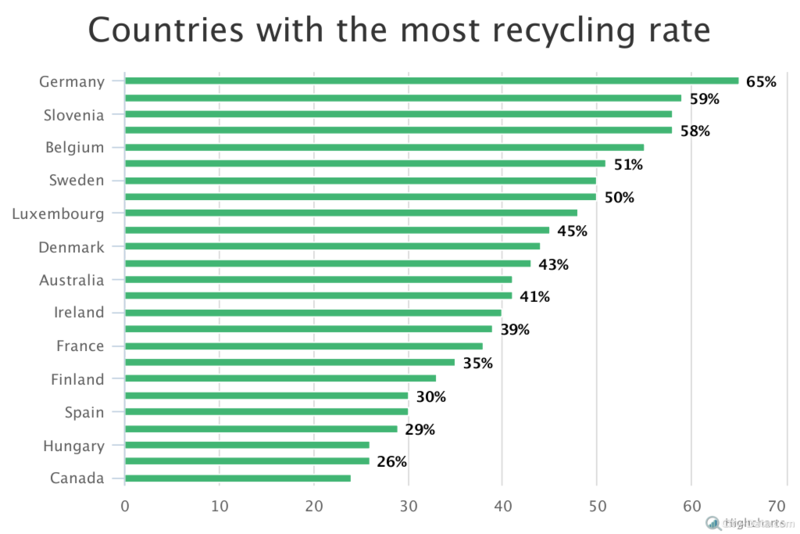 In terms of actively recycling and composting waste, the United States falls far behind other countries. The U.S. recycles about 35 percent of all its municipal waste. Germany leads the world in this regard, composting or recycling 65 percent of all its municipal waste. South Korea takes second place with a recycling rate of 59 percent. In 2013, about 67 percent of newspaper and mechanical paper and about 60 percent of yard trimmings were recovered in the U.S. The most-recovered material in the country was paper and paperboard – over 43,000 tons were recovered from municipal solid waste. Approximately 8,000 tons of metal were recovered from municipal solid waste. Glass and plastics were also recovered in huge quantities – 3,150 tons and 3,000 tons respectively. 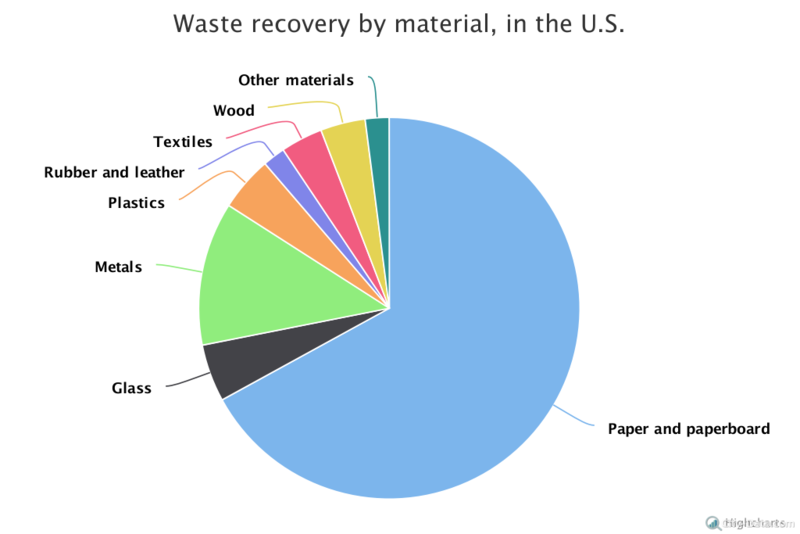 The amount of wood recovered from solid waste was about 2,400 tons, compared to textiles with 2,300 tons recovered. Rubber/leather showed a much lower recoverable rate – only 1,200 tons in 2013. We can also analyze the information about solid waste generation and discards in the United States. Thus, in 2013 more than 254 million tons of municipal solid waste was generated, and about 166 million tons of it was discarded. In 2012 the rates were pretty similar: 250 million tons were generated, 135 million tons of which were discarded. In 2011 the amounts of generated and discarded waste were 250 million and 134 million accordingly.